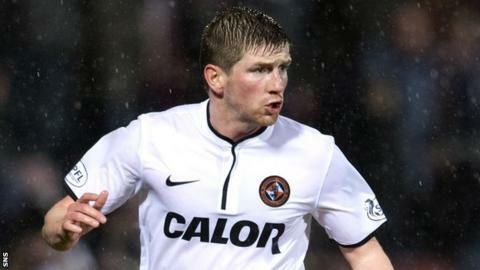 Dumbarton have signed former Celtic and Dundee United defender Mark Wilson on a deal until the end of the season. Wilson, 30, was a free agent after his contract at United was terminated by mutual consent last month. He was in his second spell at Tannadice and also played for Bristol City after leaving Celtic in 2012. "Mark has plenty of experience having played at the top level in Scotland," Sons manager Ian Murray told the Dumbarton website. "He'll do well for us over the remaining games in the season." Murray added the club "have an option or two" in pursuing other signing targets and the squad could be bolstered further before Saturday's Scottish Championship meeting with Cowdenbeath.